Hillside - Additional great room with tall ceilings and windows* Perfect for working at home or multi-generations* MLS#6905606. KELLER WILLIAMS AVENUES REALTY. 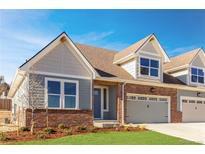 Ridge At Harvest Lane - Schedule A Showing Or Preview Asap! MLS#4920873. Keller Williams Realty Success. 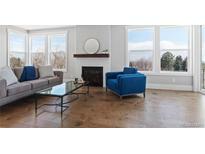 Arvada Plaza - Don’t miss this amazing property, it’s move-in ready! MLS#3115799. Wisdom Real Estate. Shadow Mountain - Checkout the drone and matterport tours to fully understand what is being offered today! MLS#4276788. Dream Solutions Realty, LLC. Oak Park - And don’t miss the garage/workshop that is for the tinker and trade person—furnished with 220v access. This won't last long! MLS#6176571. MB Marston and Blue. Leyden Rock - Located near the community pool. Great commute to Boulder. MLS#5743000. KELLER WILLIAMS AVENUES REALTY. Nothing left to do but move in and enjoy the views! MLS#2746811. CATALINA REALTY LLC. You will also find access to many nearby trails for outdoor adventures! ! MLS#4350119. HomeSmart Cherry Creek. Macarthur Park - Located across from a walking trail that leads you to Little Dry Creek and is situated between Lakecrest Park and Wood Run Park, with close proximity to Standley Lake make this home even more peaceful. MLS#9687086. COLDWELL BANKER RESIDENTIAL 54. Landing At Standley Lake - All within a close knit community that make this gem a place you will want to call home! MLS#9435726. HomeSmart Realty Group of Colorado. Allendale - You Snooze, You Lose on This One..... MLS#6116036. INTEGRITY 1ST RE & INV..
Stephan Ridge - Price To Sell , Bring Your Tool , Don'T Wait , Build Your Sweat Equity .Lowest Price MLS#2244275. ALL PRO REALTY INC.
Come visit today to see why! MLS#4499822. Keller Williams DTC. Lakeview Estates - This house is located 2 blocks away from Homestead Park, one of Arvada’s best urban parks, and is near Sheridan G Line station and Olde Town Arvada. MLS#4565049. A Better Way Realty. Parkway Estates - Covered front porch for relaxing... welcome home. MLS#1532036. Keller Williams Integrity Real Estate LLC. Del Rey - Seller is offering a 15 month buyers home warranty. MLS#2643706. Redefy. Lamar Heights - Room for cars and toys!!! Showings start 4/19/19. MLS#4591587. RE/MAX MOMENTUM.